Sinuwave Technologies Inc. is pleased to announce that Dr. Merrill Biel, Professor of Otolaryngology at the University of Minnesota, will be presenting his safety and efficacy findings to date, at the American Rhinologic Society Meeting (ARS). The ARS Meetings are held during the upcoming Combined Otolaryngological Spring Meetings (COSM) in San Diego, California. Dr. Biel will be presenting his findings from a number of studies which demonstrated important safety and efficacy data on Thursday April 19, 2012 at the National American Rhinologic Society Meeting portion of COSM. In one such study, he concluded that there was no histological evidence of histomorphological damage attributable to the photodisinfection (aPDT) treatment of infected human paranasal sinus mucosa when using a new enhanced photosensitizer MB/EDTA. Dr. Biel will also be presenting data demonstrating significant efficacy against antibiotic resistant MRSA and P. aeruginosa, two major contributors to chronic recurrent sinusitis. This study was performed in a unique maxillary sinus model and was employed the Sinuwave Sinulight and Siniss treatment devices, demonstrating their significant efficacy and ease of use. As a practicing clinician, Dr. Biel is an Otolaryngologist - Head and Neck Surgical Oncologist at Ear, Nose and Throat Specialty Care of Minnesota and Medical Director of Head and Neck Oncology at the Virginia Piper Cancer Institute at Abbott-Northwestern Hospital in Minneapolis. He is a clinical professor in the departments of surgery, otolaryngology and family practice and a clinical professor in the School of Veterinary Medicine at the University of Minnesota. Dr. Biel has been involved in the preclinical and clinical applications of photodynamic therapy in head and neck cancer since 1987. 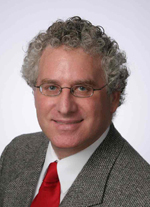 Recognized globally as a global leader in the research and development of photodynamic therapies and protocols, Dr. Biel is a Founder and the current Chairman of the [Pan-American Photodynamic Therapy Association as well as member of the board of the hInternational Photodynamic Association. He has been the principal investigator on an international multi-institutional trial of photodynamic therapy in the treatment of head and neck cancer and has treated over 400 patients with head and neck cancer using PDT, the largest single series of PDT treatment for head and neck cancer in the world. Dr. Biel has published over 30 manuscripts and 4 book chapters on pre-clinical and clinical applications of photodynamic therapy using various photosensitizers and laser systems. Responding to the growing threat of antibiotic resistance, Sinuwave Technologies has been working with Dr. Biel and his group to develop protocols and therapies that can address the currently unmet need of chronic recurrent sinusitis (CRS) patients. CRS currently affects well over 500,000 Americans and this number is growing by 10% annually. Sinusitis, inflammation of the sinuses, results from viral , bacterial or fungal infections and affects about 24 million American annually. CRS sufferers are those patients who do not respond well to traditional therapies such as surgeries, allergy therapy or antibiotics. Sinuwave™ is a therapy under development for the treatment of chronic sinusitis, utilizing photodisinfection to destroy antibiotic resistant microbes in the inflamed sinus and thereby relieve symptoms of this debilitating disease. Sinuwave Technologies Corporation is currently in the product development phase, including preclinical testing for safety and efficacy.